What is "Blynk" .... 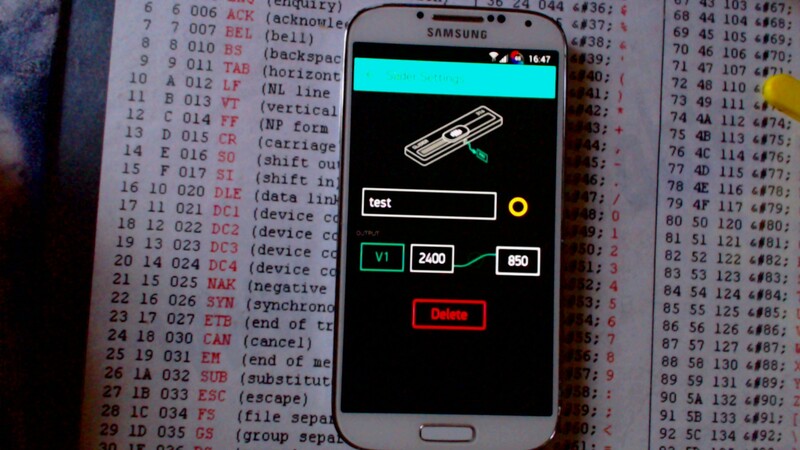 It is a Smart Phone APP that uses either Android or iOS to IoT your projects for remote control. To get things started download the Blynk app off Google Play or Apple itunes. Click on the "Create New Project" selection to start the process. It will create an "Auth Token" which its best to straight away email to your self as you need to paste this into your ESP8266 code later. Next a blank screen will be shown which confused me at first until I discovered that a "Right Swipe" of the screen brings in the "Widget Box"
So Select the "Large Slider" and this will be ported to your Project Gui. Press the slider and its setting will pop up . 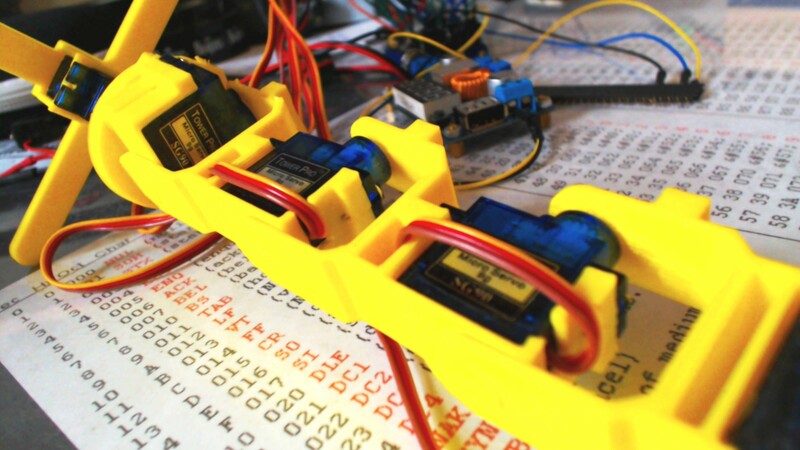 Now its time to load up your ESP8266 with some code. 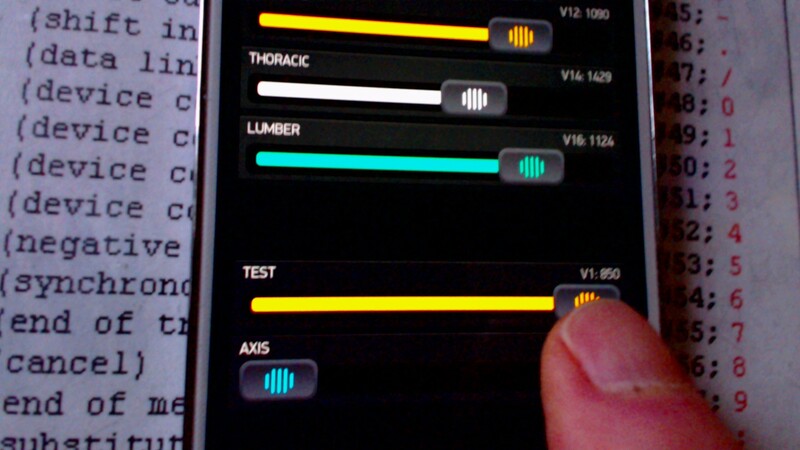 * This sketch demonstrates how to scan WiFi networks. 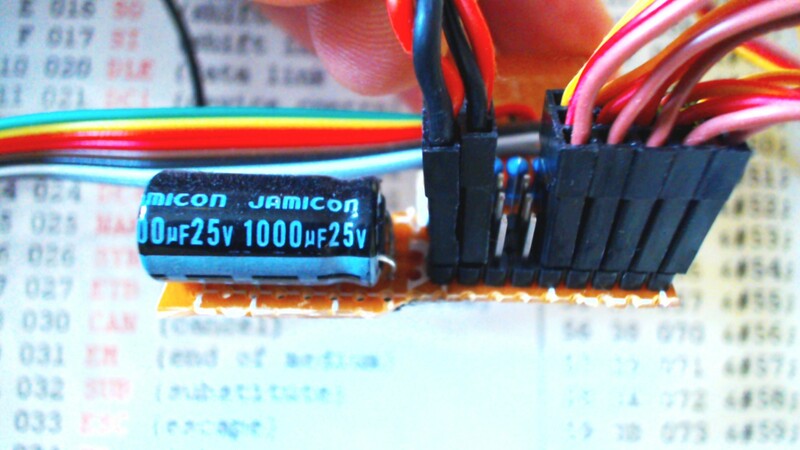 Be sure to connect your servo to Pin 15 of the ESP8266. 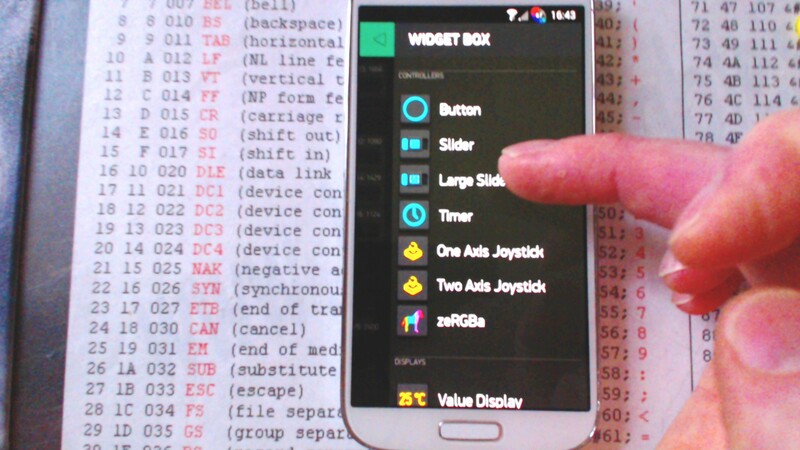 ... and as your Smart Phone is already running you "Servo Gui" you can slider the slider to control the Servo. 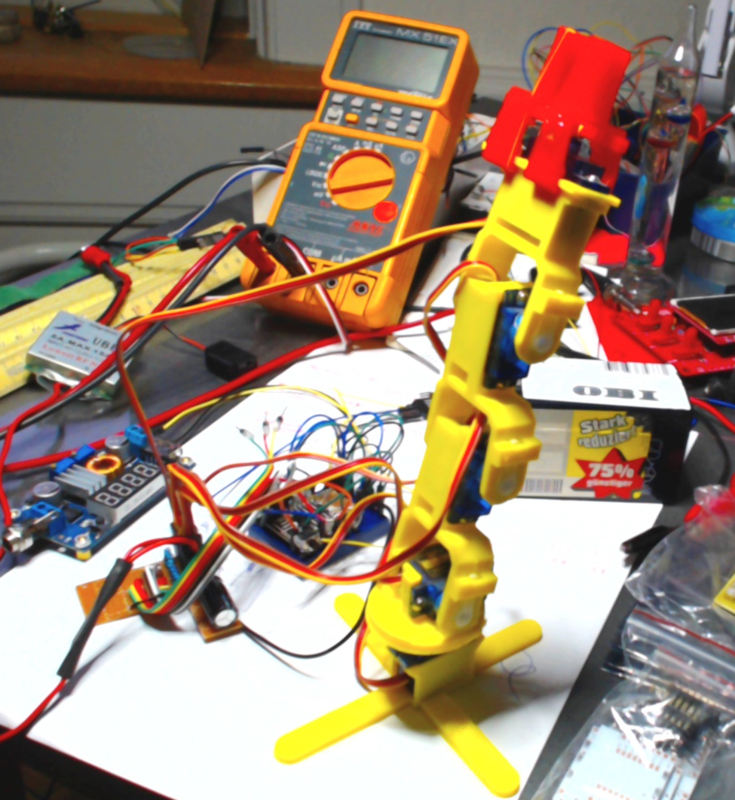 If you notice I am using the servo.writeMicroseconds command servo values span 700-2300us. NB. If you set the servo values 0 - 100 then the Blynk app will try to send 0microseconds or 100microseconds to the servo ....which is not recommended as the servo will try to disscombooberate its self. 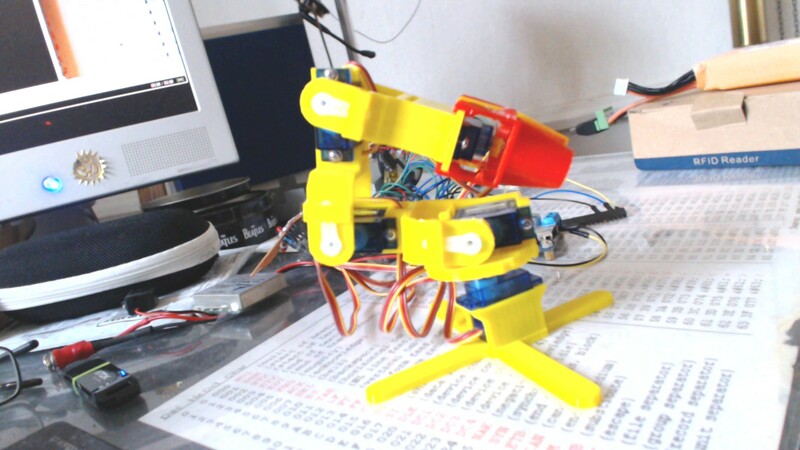 The Gripper arm is a simple chain of 3D printed servo holders. 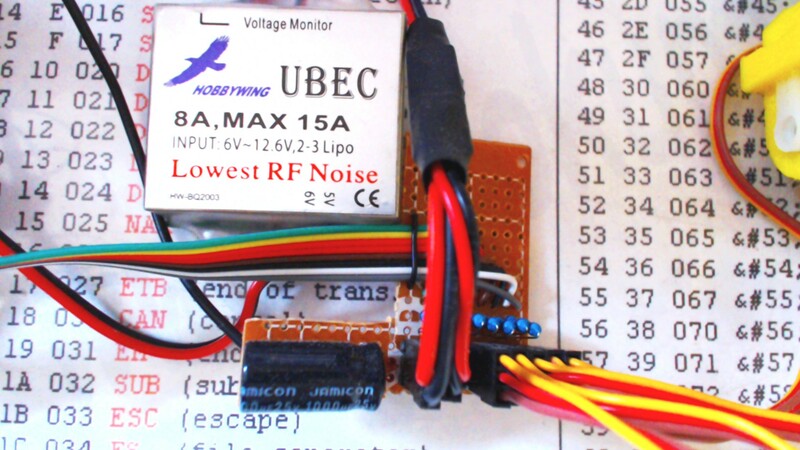 Do your self a favour and run the Servo Supply rails off a separate UBEC ... these supply mega amounts of current and can be easily switched for 5V or 6V servos. 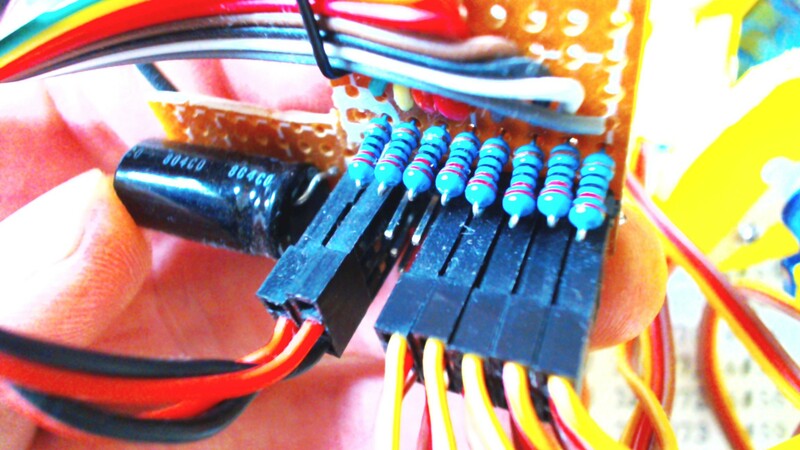 Place a beefy capacitor as close as possible to the servo plugs, this smooths out the current supply spikes off the supply rails and eliminates the any chance of the MCU browning out.